Our resident wedding planner Caroline Gould is on hand to help with all of your wedding worries, feel free to send her your questions to hello@carolinegouldweddings.co.uk and she will answer them here on the blog. Q. What would you suggest for entertainers that will get our guests in the party mood? This would be for after the ceremony, but before we sit down to eat. A. The drinks reception is a really important time for entertainment. The ceremony sets the tone for the day and you will want to keep up the momentum to take your guests through to the wedding breakfast. It’s not the right time for a full on band or DJ, so consider something acoustic. 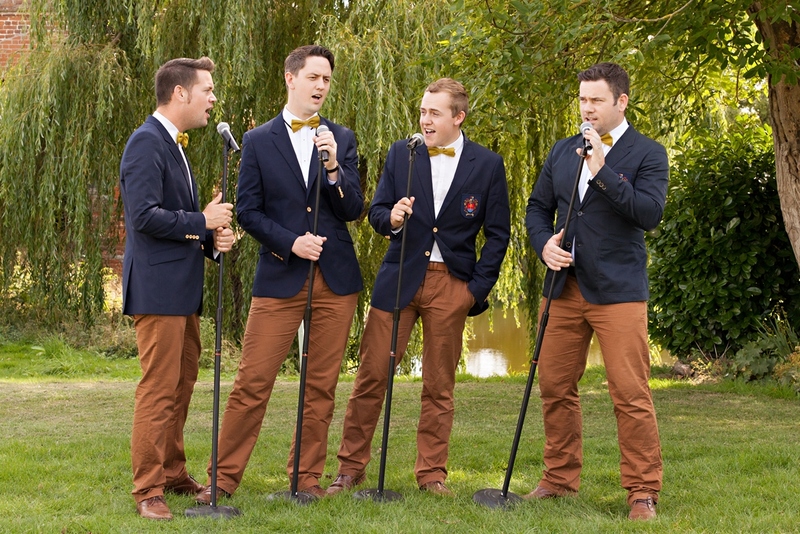 A simple guitar accompanied singer perhaps, or how about an a capella group like the fabulous TestostaTones who have performed at several of my clients weddings. First published in Perfect Wedding Magazine in September 2014.